As is springtime tradition for Van Cleef & Arpels, the floral-inspired Frivole collection continues to blossom with six new delicate creations. The signature flower motif, a charming graphic piece-up of heart-shaped petals, continues to be the main showpiece here. But this year, the Frivole collection is a dutiful study on the aesthetic qualities of light. 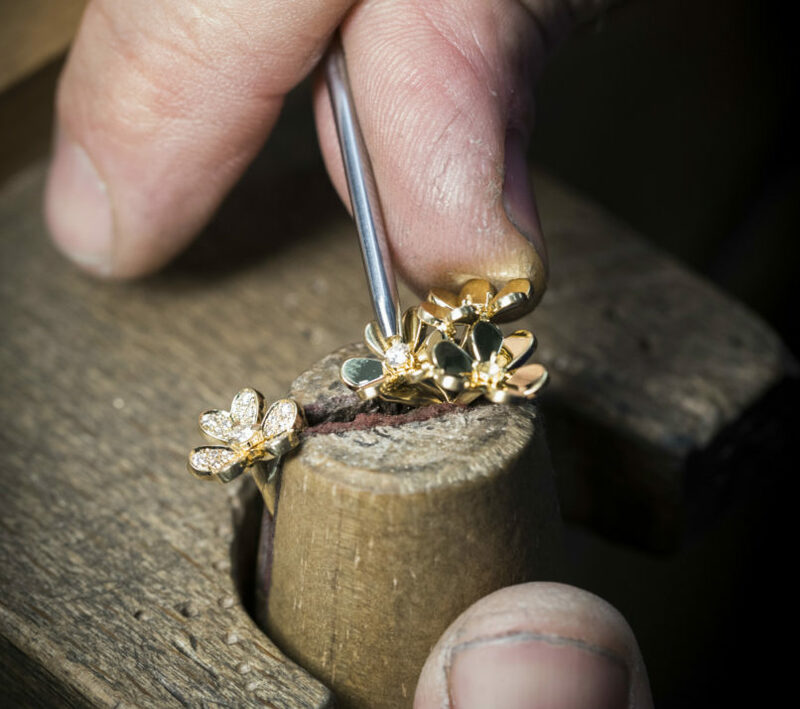 In the Frivole’s yellow gold interpretations, Van Cleef & Arpels goes for a mix of complementary styles that have been explored individually in previous collections. A diamond-embellished flower now finds a partner in a meticulously mirror-polished twin, and each has a unique role to play in the contemporary assemblage. As the diamonds sparkle, the less-adorned petals with highly burnished surfaces of precious gold radiates with an intense sun-kissed shine. Captured light imbues a liveliness into the three-dimensional pendant. This refreshing asymmetrical piece is then paired with a modest array of smaller flowers of gold and diamonds, linked to create a gold wreath of sorts to be worn around the wrist and as a necklace. The Frivole’s latest take on a Between the Finger ring is a sight to behold as well. Think a delicate bouquet made up of a single pave-set flower joined to the hip with a polished floral cluster. This dramatic piece, together with bracelet and necklace, completes the elegant ensemble. The Frivole collection also sees a reinvigorated update to the more subdued mini-models. Miniatures continue to be exclusively cast in white gold, but now carries pave-set diamonds to lend extra sparkle. 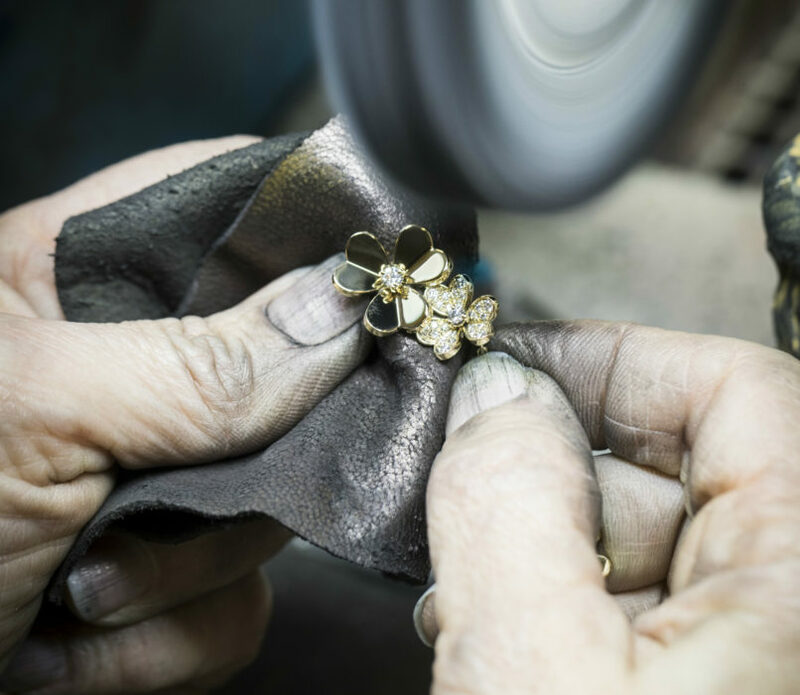 A white gold thread traces the frame of each petal and contour, accentuating the harmony between the precious materials. The openwork structure continues Van Cleef & Arpels’ play with light, enhancing the shimmer of each piece by allowing light to pass through diamonds. Van Cleef & Arpels’ contemporary pieces are not without historical references. 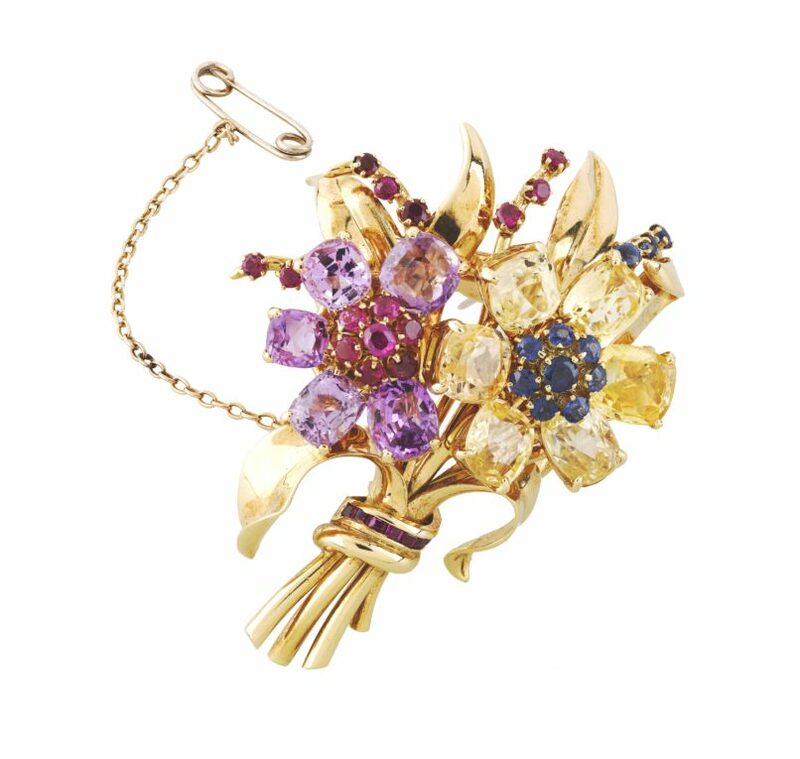 The Frivole collection takes inspiration from the highly elaborate and colourful jewellery made by the French luxury house in the early 20th century, characterised by bouquet arrangments and the same meticulous polishing techniques. The Frivole collection is now available at all Van Cleef & Arpels boutiques, including its newly re-opened Marina Bay Sands store.